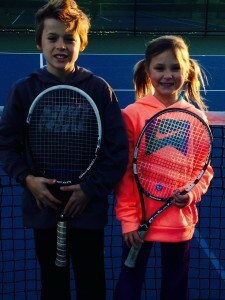 The Kidzone program is the first point of contact that we have with our aspiring tennis stars. 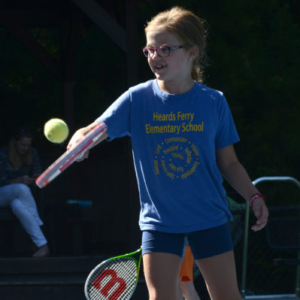 We feel that the foundation is the core to the long-term development of each player and with our red, yellow, and green dot progressions, aspiring tennis players develop in a systematic manner that is fun and conducive to success. Players in this group are grouped by ability and level and they progress at their own learning abilities. The Kidzone Program is offered Monday – Friday and runs in 8 week sessions. We hold Match Play on select Saturdays of the session. The full hour program is for ages 5 to 11. We have added a new program Kidzone Duo-Sport Tennis/Soccer Combo open to 4 and 5s and 6 and 7s. At the end of each session is a 1 week break at the for rain/weather makeups. TEXT COACH CALIN at 678-457-1556 to confirm you are attending. Cost – Full Hour: 1x week: $180; 2x week = $330; 3x week = $450, Match Play is included in the price. The fees are payable with cash, check, online check or Zelle. We charge a surcharge for payments using a credit card. Text TENNISNATA to 84483 to receive alerts from NATA.